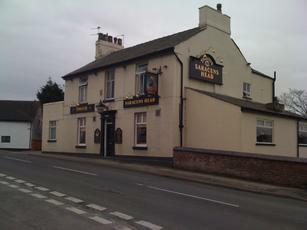 Excellent Thwaites pub in a one-horse town off the Fylde Coast. The homecooked food is some of the best pub food I've ever had. I highly recommend the steak & ale pie w/chips, although their seasonal pies are excellent as well. The pub has 3 handpumps, typically offering Bomber, Original, and some sort of Thwaites seasonal. They also have smooth and mild on nitrokeg. Don't miss out on checking out the Black Bull next door either.